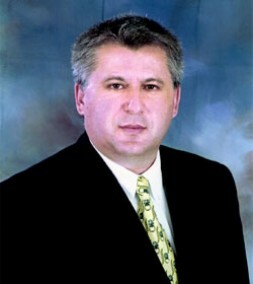 Dr. John M. Nomikos is the Director of the Research Institute for European and American Studies (RIEAS). The Maastricht Treaty seized the opportunity in 1991 to catalyze the European Union intelligence-sharing process when the Treaty laid the foundations for a Common Foreign and Security Policy (C.F.S.P.) including the eventual framing of a common defense. In addition, on November 14, 1995, in Madrid, assessments were investigated and promises made to contribute towards enhancing European security and intelligence arrangements with the conclusion that the development of intelligence cooperation was important for operational capabilities. Most important, at the British-French Summit at St. Malo in 1998, it was stated that intelligence was fundamental to the success of the European Union, and that it must be given appropriate structures and a capacity for the analysis of situations, sources of intelligence, and a capability for relevant strategic planning without unnecessary duplication. This notion was also reinforced in the Amsterdam Treaty of 1997 in order to create a policy of planning and an early warning unit. Moreover, intelligence and security analysts in the European Union member states who promote the idea of a European common intelligence policy argue that intelligence collaboration is already taking place successfully around the world: in the E.U. Satellite Center in Spain; the Situation Center at the United Nations in New York; and the informal gathering of the Club of Berne in Switzerland. However, the toughest challenge for the European Union has been the highly sensitive area of intelligence-sharing. The European Union has decided that from January 1, 2008, any information available in one country should be available in all other 25 member states. Improving intelligence cooperation is a top priority but, in the long-term, the root causes of conflicts must be understood and addressed. An emerging intelligence service in the European Union should have as its most important task the analysis of overtly gathered information and preparing it for use by policymakers. A first step towards improving intelligence sharing was the establishment of the Joint Situation Center (SITCEN) for intelligence analysis within the Council Secretariat. One of its goals is to bring together experts from both the intelligence and security services. How a European Union intelligence service might fit in the overall European Union mechanism and what its shape and role might be is a prospective challenge for the member states in the coming decades. Eventually, by establishing an intelligence service, Europe might be able to foresee a situation which could be threatening to the European Union states such as a crisis in the Balkans or prospective religious turmoil or biochemical attacks to terrorist acts; the Council of Ministers should be involved as well by informing appropriately their national intelligence services. Since the Council of Ministers is the official decision-making body of the European Union, it should receive reports and analyses from the European Union intelligence service. However, the problem here is that a minister of foreign affairs might have difficulties and conflicts in dealing with the foreign affairs of his own country and that of the European Union at the same time. Of course, there are ways around this; for instance, the creation of a Committee on European Intelligence could refer directly to the European Union Commission. On the other side, the European Parliament would be the one to approve the budget of the European Union intelligence service. In the U.S., Congress is also responsible for the approval of the budget of the Central Intelligence Agency. The European Parliament could in the future also become the institution to provide oversight over the European Union's intelligence service operations comparable to U.S. Congressional oversight over the intelligence community in the United States. Since the European Union member states address the possibilities of a future European Army, even if it remains simply a peacekeeping facility, it can be reasoned that they should also address the creation of an intelligence policy. Reduced duplication and closed cooperation among the member states offers an opportunity for efficient intelligence cooperation. The European Union as an entity has become an increasingly important factor on the Continent since the revival of the European Community through the Single European Act (S.E.A.) signed in 1986. S.E.A. is the official name for the 1992 program for the opening up of borders among its members. The European Union, together with the United States and the United Nations, has also become a force of some importance outside the European continent. But the instability of the North African region, as well as in the former Soviet states, will affect the enlarging European Union. Islamic fundamentalism is reemerging in the North African states, alongside an increase in terrorism. Southern European Union member states such as Spain, Portugal, Italy and Greece are facing the effects of demographic trends (via illegal immigration). The European Union's interior and justice ministers were clearly reluctant to hand over any major national intelligence function to a European government at a time when ad hoc arrangements among the major national intelligence services in the European Union -- and with the United States -- are currently in the forefront in the campaign against al-Qaeda and related Islamic extremist groups. Eventually, the European Union's interior and justice ministers did agree on closer cooperation on certain security issues, and discussed the appointment of a new counter-terrorism coordinator. An important point of agreement between the ministers at the meeting was to "create a clearinghouse, where for the first time investigating judges, police, and intelligence services can direct sensitive information which would become available in real time to all members." The various forms of cooperation so far have been based on the secret services of the major countries. Owing to this fact, it is not surprising that small states deprived of their own effective intelligence services, which would be capable of recognizing and neutralizing terrorist threats, are insisting on the creation of a European intelligence organization. Those small states are also unsatisfied with the present cooperation with the states bearing such services. On the other hand, the countries with effective intelligence services, such as the so-called "Big Five" (Italy, U.K., Germany, France and Spain) which together with the Netherlands and Sweden participate in SITCEN, are against revolutionary changes in the present system of intelligence cooperation in the European Union. Moreover, the Belgian and Austrian governments have suggested creating a European Union intelligence service modeled on the Central Intelligence Agency in order to fight terrorism; the interior ministers from the top five European countries were unwilling to agree on how to share intelligence with all 25 members and other states. And the European Union's past unwillingness to cooperate on counter-terrorism has caused strain, in particular with Washington, because of U.S. demands to collect personal data on airline passengers. The next step in the process of creating an intelligence service in Europe would be to distribute tasks according to the operational and informational capacities of a given national service. For instance, French intelligence has been traditionally interested in Africa, and Spain in South America, while new members in the European Union are to some extent experienced with the former U.S.S.R. countries as well as the Balkans and the Middle East. It would also be possible to make of wider use by the European Union's analytical and intelligence units of the following: information and non-governmental analyses as well as research centers, private, scientific and related to economics, which rely upon open source intelligence. European intelligence cooperation to date has been hampered by emphasizing national sovereignty over shared intelligence. The cooperation that does exist has been largely confined to imagery collection and analysis using the European Union Satellite Center. Imagery intelligence is a necessary capability, but an effective European Union intelligence service will also require cooperation in signals intelligence and human intelligence, and be able to integrate them in all-source intelligence products. The second obstacle to integration is the fear of spoiling privileged relationships. Many N.A.T.O. countries have individual intelligence sharing agreements with the United States. The French, determined to reduce their dependence on U.S. intelligence capabilities, are the driving force behind the drive for European autonomy. France developed the Hellios system with Spain and Italy, and has struggled to obtain German cooperation in the Hellios 2 program. Leading the intelligence gathering assets are the Helios series satellites which are optical reconnaissance satellites providing photographic images down to approximately one-meter resolution. The Helios system is a joint French, Italian, and Spanish venture and provides data initially to the three participant states. Institutional obstacles also stand in the way of increased intelligence cooperation. Intelligence organizations generally believe that no other organization's analysis is as reliable as their own, which leads them to place more faith and confidence in their own work. These organizations also tend to view international relations as a zero-sum game, and may not agree with a cooperative approach to security and defense integration. Furthermore, the conservative nature of intelligence agencies, coupled with the bureaucratic lethargy of the European Union, will also act to slow European intelligence cooperation. After the rejection of the European Constitution in France and the Netherlands, the concept of considering a European intelligence service becomes more complicated. E.U. member states will be more hesitant to share intelligence among other member states under a central intelligence network in the European Union institution. Nevertheless, a lack of knowledge about potential conflicts on the European continent could be more costly than maintaining a viable European Union intelligence structure. The eastern and southern peripheries of Europe are regions with considerable instability. The Balkan and Persian Gulf crises have been sufficiently traumatic to convey the message that if the European Union is serious about achieving the objective of a common foreign, security, and defense policy, the requirement for a common European Union intelligence policy is critical. The main tasks of this intelligence structure would be gathering information from the E.U. states' intelligence services and analyzing it independently. This analysis would allow the intelligence organization to advise the Commission and the Council on foreign relations and security issues for prospective conflicts. The Power and Interest News Report (PINR) is an independent organization that utilizes open source intelligence to provide conflict analysis services in the context of international relations. PINR approaches a subject based upon the powers and interests involved, leaving the moral judgments to the reader. This report may not be reproduced, reprinted or broadcast without the written permission of [email protected]. All comments should be directed to [email protected]. Dr. John M. Nomikos is the Director of the Research Institute for European and American Studies (RIEAS), based in Athens, Greece. He specializes on transatlantic (EU-USA) intelligence and security studies, national security architectures and Greek-Israeli relations. He has studied and done research in various research institutions in USA, UK, Germany, Norway, Finland and Israel.